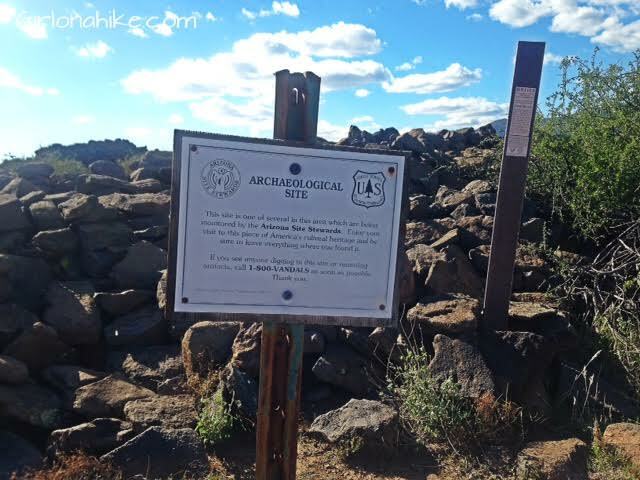 The Black Mesa Ruins are actually apart of the Agua Fria National Monument, and is located about 40 miles north of Phoenix, along the east side of I-17. 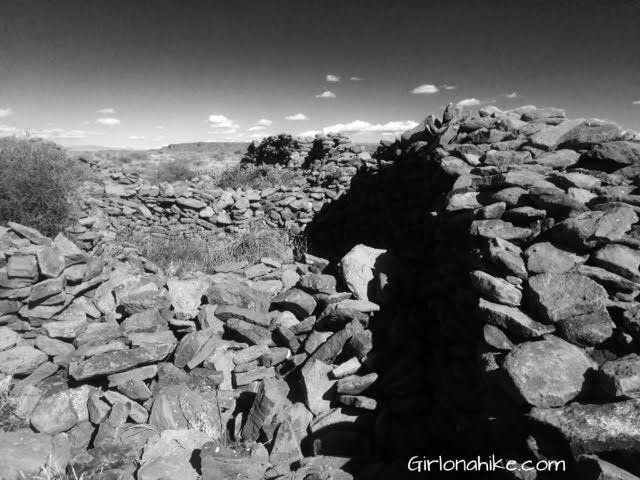 The monument area was created in 2000 by Bill Clinton, and contains nearly 71,100 acres and more than 450 archeological sites, most of which are located on Black Mesa and Perry Mesa. 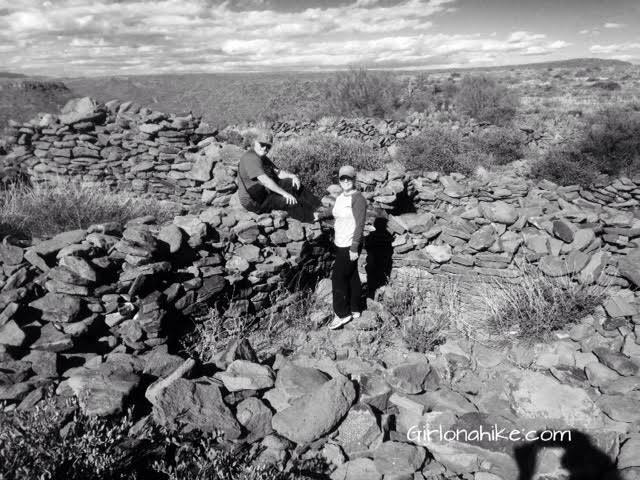 The Hohokam "fortified hilltop" at Black Mesa had 13 rooms and was built sometime between 800-1100 A.D. The tallest walls are roughly 12-14 ft high. 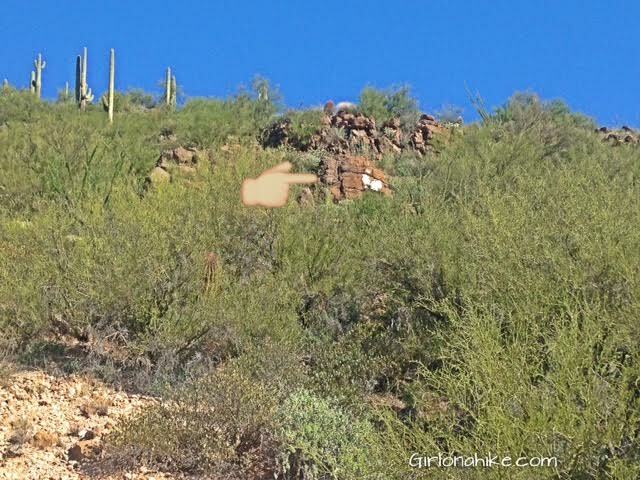 This area has hieroglyphs as well, but we couldn't find them. From Phoenix, travel north on I-17 roughly 45 miles. 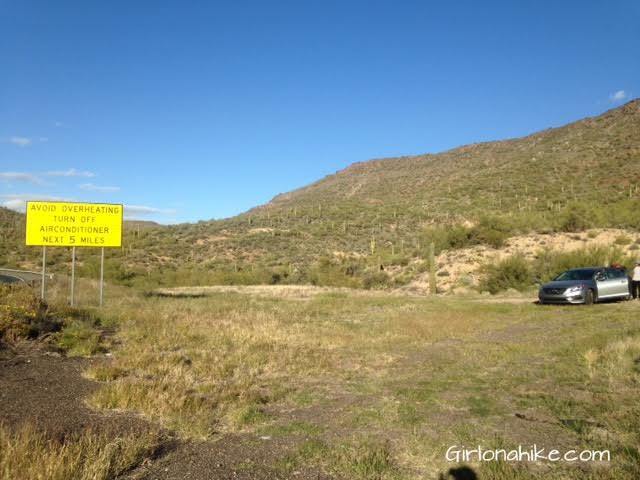 Drive past exit 244, and look for the "Avoid Overheating Turn Off AC" sign. This is where you'll want to park. 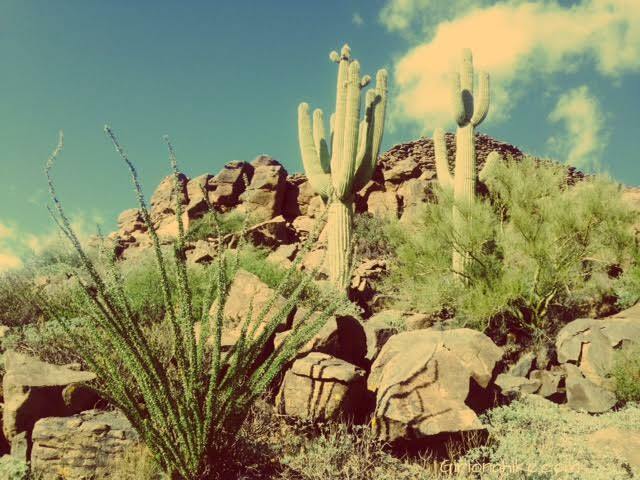 I highly recommend wearing jeans and steel-toed boots to hike in due to the low brush and cactus. Do not attempt this hike in very hot temperatures. Bring lots of water. View from the parking area. This is your destination. 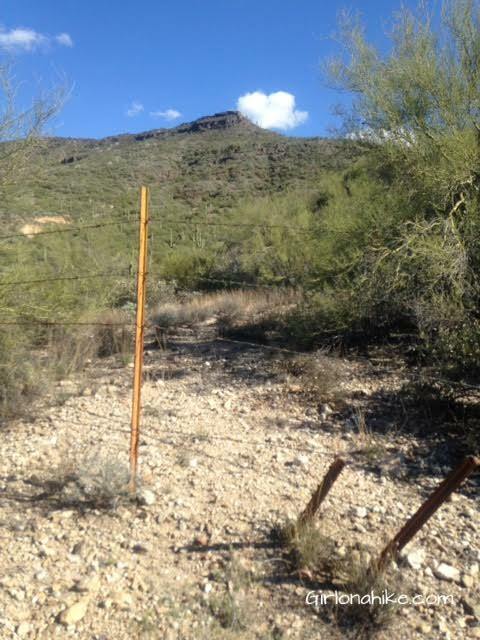 Walk up the small hill right where you park, and look for a good, open spot in the barbed wire to cut through. Again, there is no trail. You have to do your own route finding and hike the way that looks best to you. 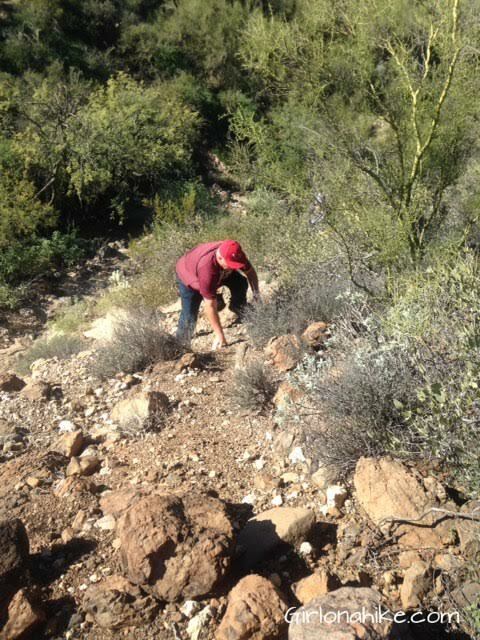 Twice we had to drop down into the ravine, then climb back up to the other side. This is my dad making his way up. Some areas you will need to use your hands to help get up. We aimed for the white painted rock, then took a small water break. Finally we were getting closer. 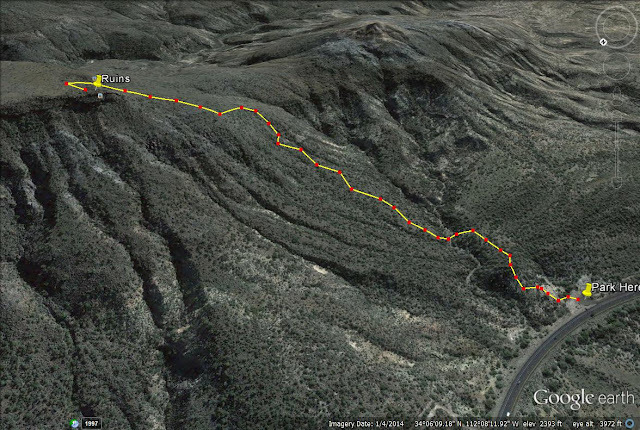 Although it's only 0.6 miles to the top, it was steep which slowed us down. The ruin walls are now in sight. 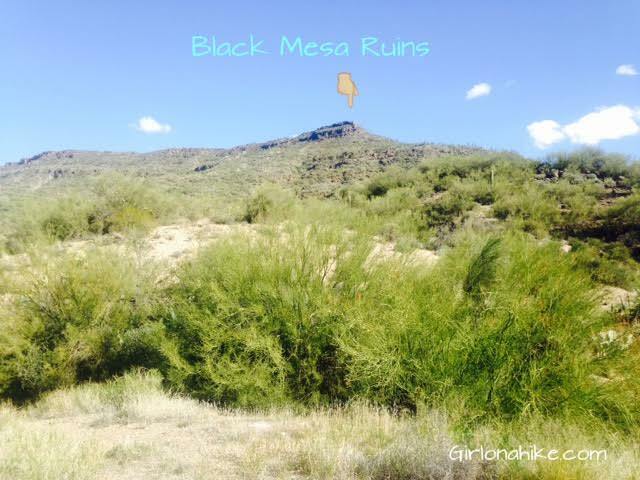 Cut up through the small saddle, then turn left towards the ruins. I took the adventurous way and just went straight and climbed up the rocks. The archaeological site sign. Don't take any pottery pieces or rocks home with you. Leave the area as is to protect this sacred site. 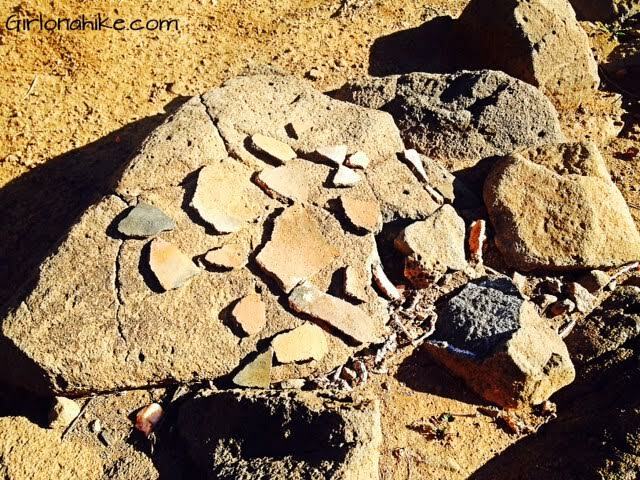 We saw several rocks with all the pottery pieces on top that people have collected. My parents inside the ruins. View looking East from on top of the ruins. 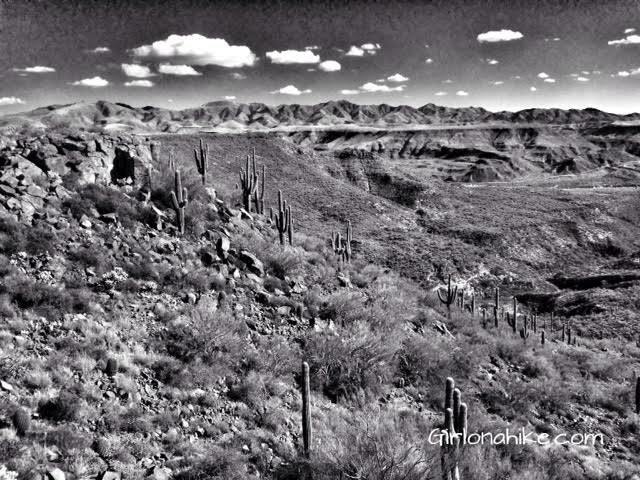 I just love the desert landscape! Although there is no trail, I've created a map to show you the route we took. This isn't 100% accurate, but will help guide you in the right direction. Wow! Well done. 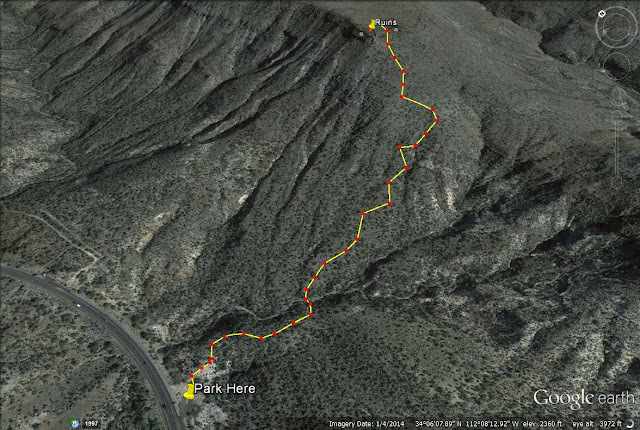 Great post, not sure i've seen a more thorough post about a hike. Hi Alicia. Thanks for a great post! 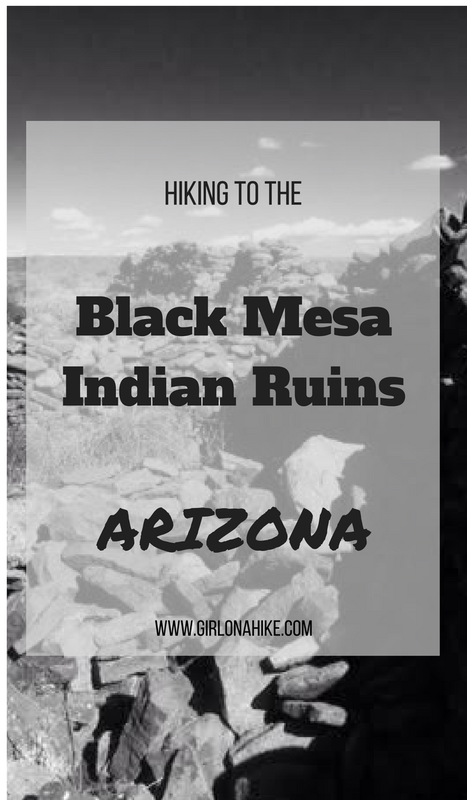 I'm coming from Massachusetts out to Phoenix for work and am hoping to get in this hike while out there. 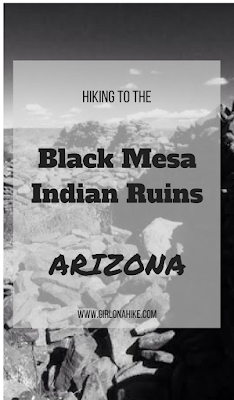 Do you have any other hikes in the area you recommend?